The Rijksuniversiteit Groningen (State university of Groningen), one of the highest regarded universities in the country, now offers a free online beginners course in Dutch! In the 3-week course you will learn some basic Dutch for everyday life such as introducing yourself, talk about friends, family and work (and maybe the weather, a popular Dutch topic) and get you updated on life in The Netherlands. 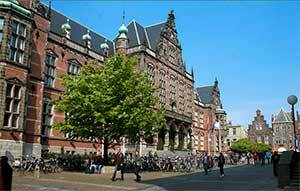 The course is taught in English by lecturers in Dutch and English from the university. The course is offered on the platform FutureLearn, where over a million people take part in university courses from all over the world. The course has just started on the 2nd of March, but there’s still opportunity to join! Check it out on FutureLearn and don’t forget to let us know how you like it!